Casting involves making a mould and then pouring a liquid material, such as molten metal, plastic, rubber or fibreglass into the mould. A cast is a form made by this process. Many sculptures are produced by the artist modelling a form (normally in clay, wax or plaster). This is then used to to create a mould to cast from. A mould can be cast more than once, allowing artists to create editions of an artwork. Modelling is an additive process. This means a soft material is worked by the artist to build up a shape or form (rather than scraping or material away as in carving). Also unlike carving, soft materials such as clay and wax can be changed and reworked. Modelling a maquette can also often be the first step in the creation of a finished sculpture. 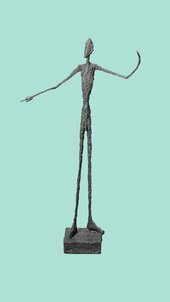 In the twentieth century a new way of making sculpture emerged with the cubist constructions of Picasso. These were still life subjects made from scrap (found) materials glued together. 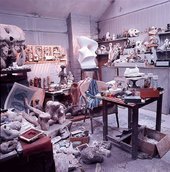 Constructed sculpture in various forms became a major stream in modern art, including in movements such as constructivism or techniques like assemblage. 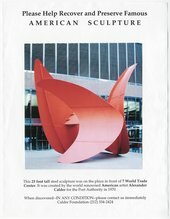 Artists have used techniques including bending, folding, stitching, welding, bolting, tying, weaving, and balancing to construct sculptures from a wide variety of materials and found objects. The first major survey of British Folk Art will open at Tate Britain in June 2014. Lynn Chadwick: past Tate Britain exhibition – First London retrospective of the major sculptor.